This is the current quilt on the frame. 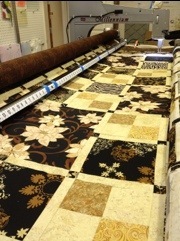 My client made a very large quilt for her bed. It is definitely beautiful. I am having so much fun with this one. 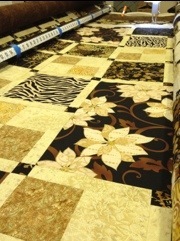 It is great when a quilt speaks to you and you can quilt it to enhance the piece. Well, back to quilting.